The boom truck crane is a hydraulic-powered crane with a telescoping boom mounted on truck-type carriers. 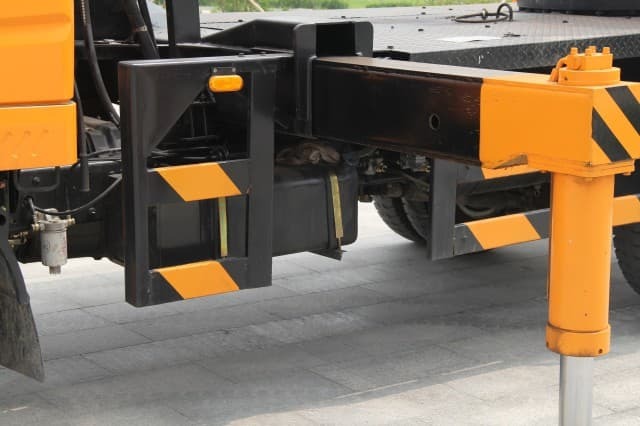 Unlike other freestanding cranes, it is mounted directly on the bed of a common motor truck. In general, you always expect them to be smaller when compared to the largest derrick cranes as they are used for smaller jobs where speed and maneuverability are very important. Because they do not have to be set up they can be used directly as soon as they arrive on the building site, which makes them get a perfect solution of construction work. 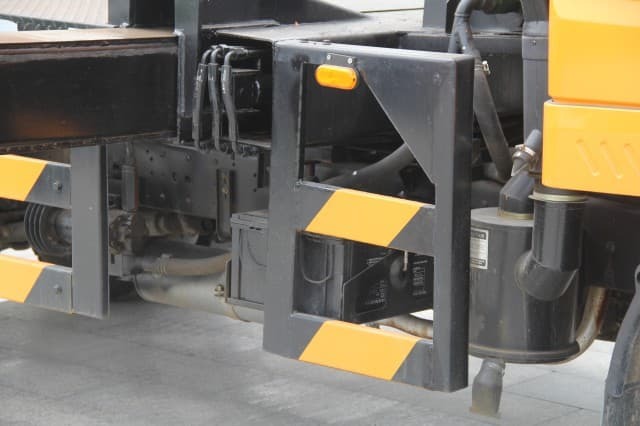 Boom truck crane has two parts: the carrier, often referred to as the Lower, and the lifting component which includes the boom, referred to as the Upper. These are mated together through a turntable, allowing the Upper to swing from side to side. The modern boom truck crane is usually single-engine machines, with the same engine powering the undercarriage and the crane. The Upper is usually powered via hydraulics run through the turntable from the pump mounted on the Lower. In older model designs of boom truck crane, there were two engines. One in the lower pulled the crane down the road and ran a hydraulic pump for the outriggers and jacks. The one in the upper ran the upper through a hydraulic pump of its own. 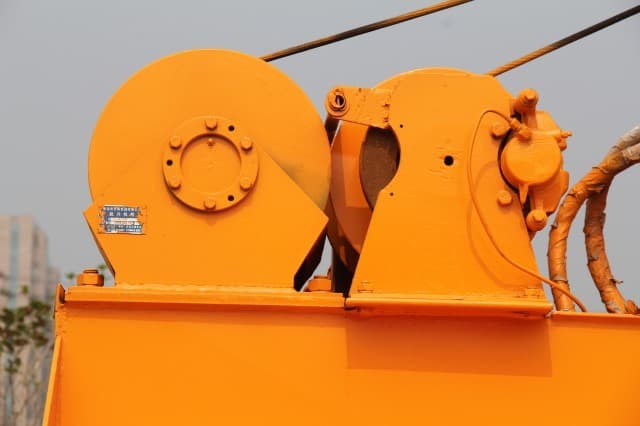 Many older operators favor the two-engine system due to leaking seals in the turntable of aging newer design cranes. 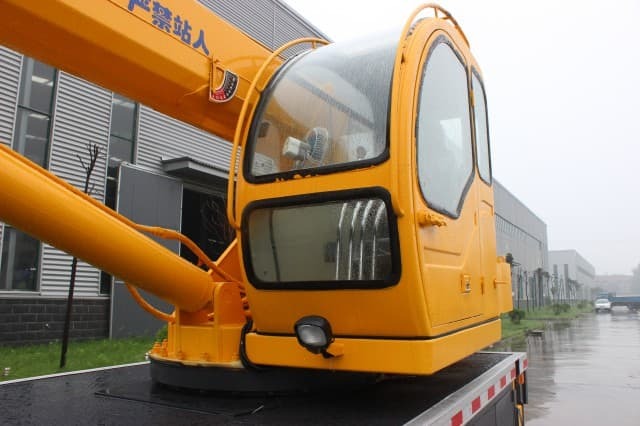 Symmen is a professional self-design manufacturer of small boom truck crane in China.And the crane max lifting capacity is 13 ton.It is important to ensure the model which you selected is the best and you do not have to worry about its maintenance. You can look at the parameters below that could help you to ensure of getting the perfect one at the best price. 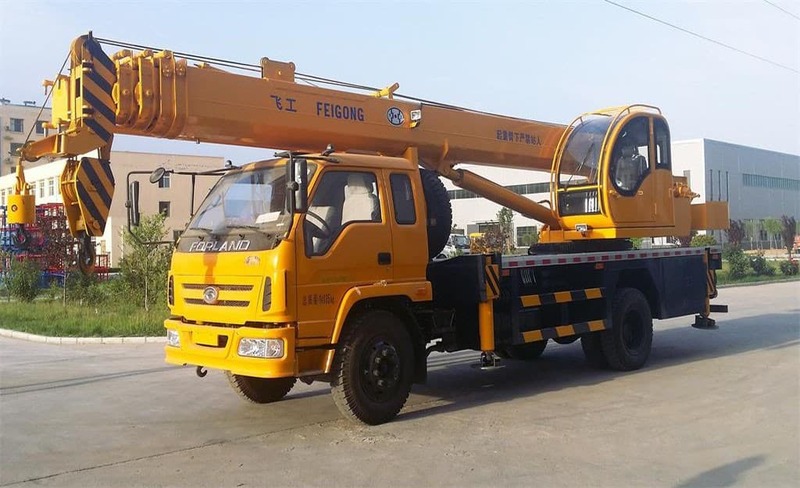 As for the perfect quality and price, you would not have to get worried at all as you can avail the best services by choosing the right boom truck crane for you. 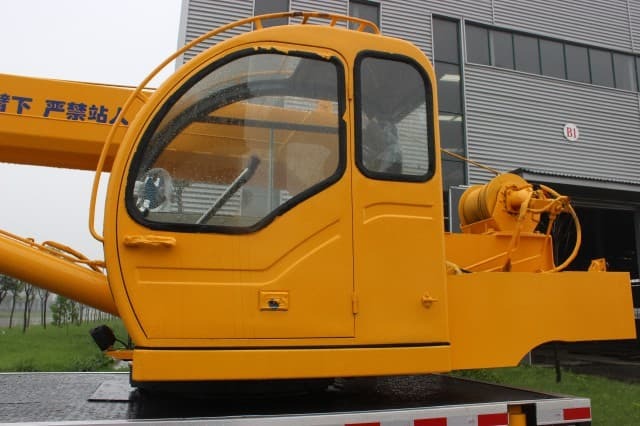 The boom truck crane U boom was made of the high-strength steel plate BS70, which is lighter, stiffer. This material actively improves its function. The five U booms have good lifting ability which the single cylinder works and the rope stretching at the same time. 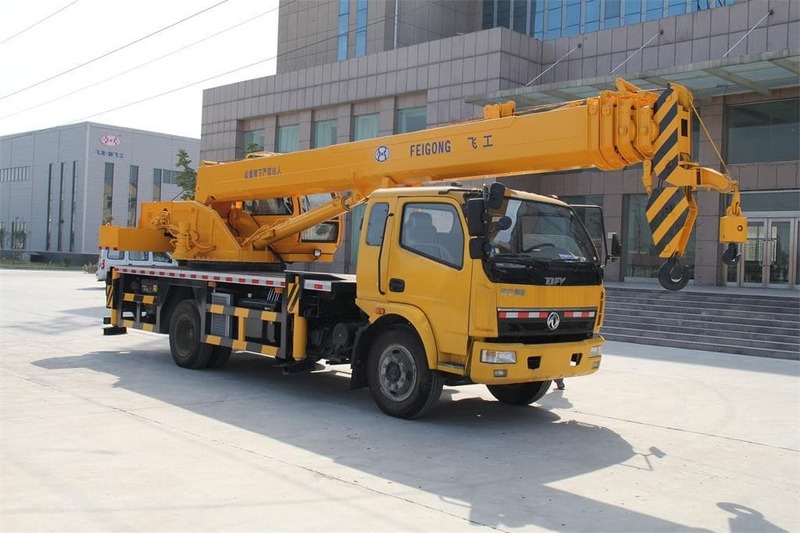 The boom truck crane has double winches lifting mechanism, so that the truck crane can achieve independent operation, simultaneous working and continuously variable transmission. 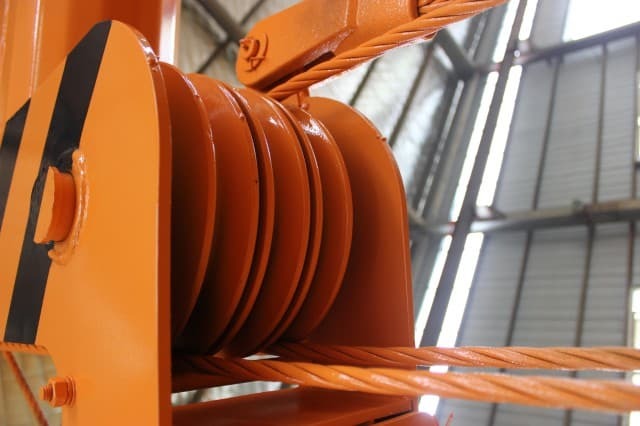 Equipped with anti-winding wire rope. Beautiful operation cabin with adjustable seat, which is safe and comfortable. The structure parts are smooth and brightness after the shot blasting processing. The materials are delicate after cutting the steel plate by the laser cutting machine. The hydraulic system uses the integrated network, imported raw materials so that the total machine has completed function and superior performance. It also has some protective equipment, such as electronic scale, over winding protection and so on, makes the operation more stable, safe and reliable. The crane outriggers is full hydraulic operation with the hydraulic oil cylinder telescopic arm and automatical legs having no weld cracks. So the machine has excellent stability. R&D Building,Torch Industrial Zone,Xinfei Road 1789,Xinxiang City.